When we discovered that we had both been reading and having our minds blown way by Proust’s ‘In Search of Lost Time’, the online discussions that followed triggered the idea for this blog. 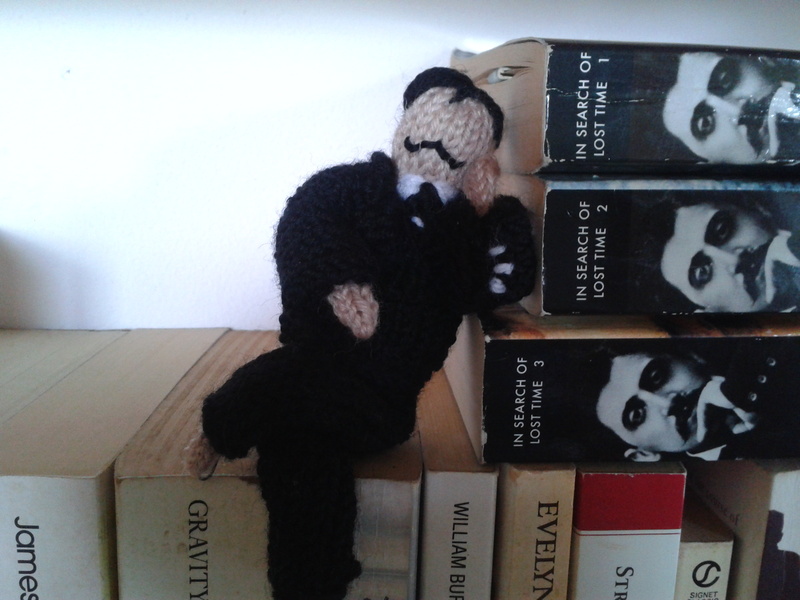 Clearly, his birthday couldn’t pass without celebration, so he’s the latest addition to my little band of knitted authors. ← Happy 144th birthday, Proust! Yes! I must allow them some shenanigans. I’ll confess that due to World Cup knitting duties I was short of time so he had to borrow old Charlie D’s suit for the photo-shoot. Both are now in a huff so I’ve put them on different shelves, but I need to get another suit made pronto. Chuckie can always borrow Victor Hugo’s blanket if it comes to it, and yeah, he’s no stranger to roughing it, unlike poor Marcel. Thinking about it, maybe I should knit his grandmother to look after him, while I’m out. That’s gorgeous! 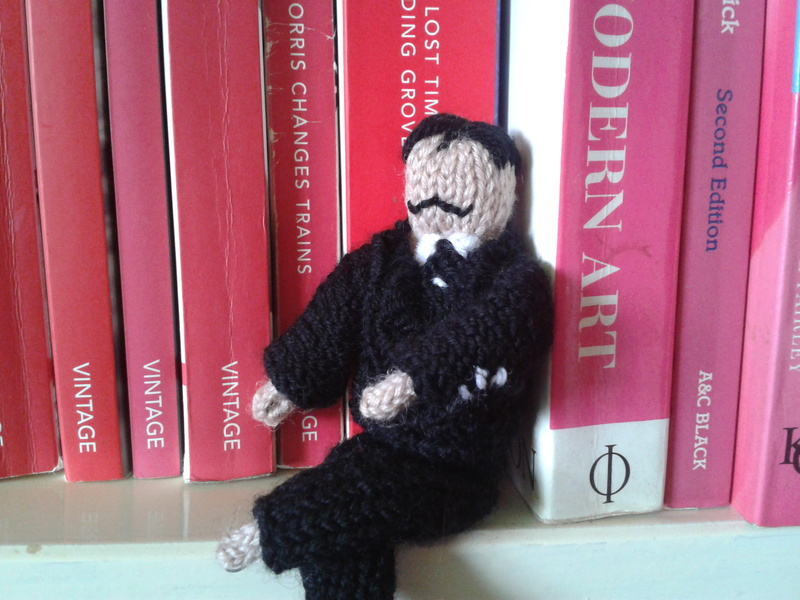 A knitted Proust – what a concept! I’m glad you like him! I’ve got a whole crowd of them now – Dickens, Woolf, Hugo, Charlotte Bronte, Hardy and Balzac. I reckon I’ve got enough to take out for some adventures now – I wonder what they’d make of a trip to the supermarket? Something genuine about bestowing tribute on an artist you love in your own special way! I’d love to see that! I can imagine the music being partly played on a euphonium (especially at scene ends). I’m personally inclined towards a wurlitzer organ but am open to persuasion. Oh, your little Marcel is a treat!